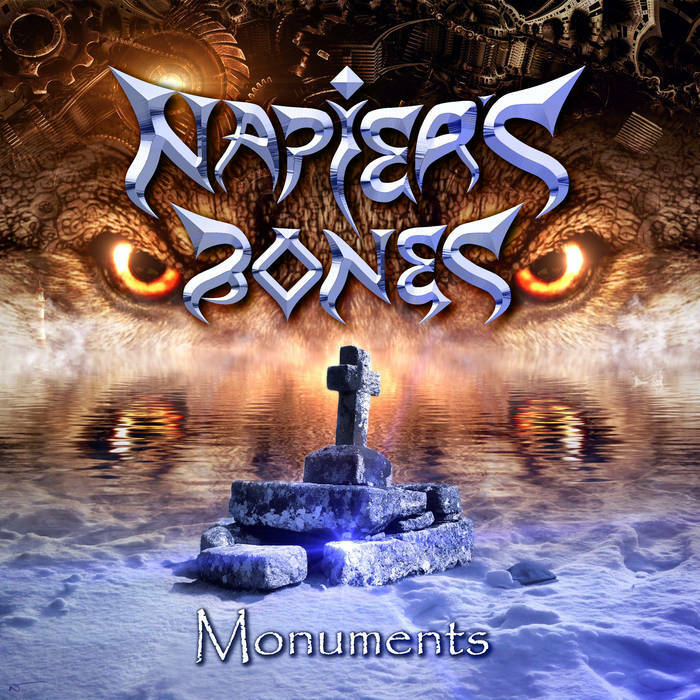 For those unfamiliar with Napier’s Bones, they are a Uk based prog rock duo made up of Gordon Midgley, lyric writer and musician extraordinaire and Vocalist Nathan Jon Tillett, who also provides artwork to the albums. ‘Monuments’ is the band’s fifth album and continues in the vein of traditional prog rock with very story based songs. Gordon has been teasing the album and songs for a few months now, giving real insight into the production and guitars/effects used, so some parts of the album are already familiar but don’t worry there is plenty more to explore. Opening track Standing Childe is a 23 minute 9 part opus that tells the tale of Childe, a warrior trying to live up to the reputation of his father, even with the knowledge that it would ultimately lead to his death. The cover artwork features Childe’s Cross in Dartmoor said to be the resting place of Childe The Hunter, inspiration for this epic tale. 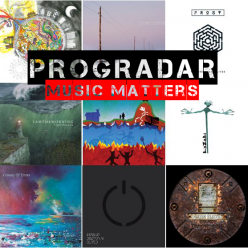 This is classic prog rock story telling and is layered with glorious moments. A good test for me on the longer prog rock tracks is ‘does it feel like a 20 minute plus track, or does it pass quickly due to your enjoyment and investment in the track?’ I can safely say that Standing Childe holds your attention well! There is enough solid instrumentation, lyrical content and epic moments to keep you hooked. From the opening instrumental section, The Childe, which features some great guitar and synth work , it flows seamlessly into Mark Well which introduce the protagonist of the story and gravelly vocals over lush acoustic guitars gives a very Gabriel era Genesis feel, which is no bad thing. And into for me the best section of the song Born To This Duty, absolutely glorious combination of acoustic guitars and mellotron type synth a great companion to the previous section and again very Genesis in feel , this is great prog rock. Like Never Before keeps us on track and lifts the tempo of the song with a cracking guitar solo from Gordon M , delivered with a warm 70s feel. Very nice. A sudden stop and new guitar riff changes the feel of the song, When Horizon Meets The Sky yet again features a great guitar synth mash up with catchy hooks being thrown out by Gordon with apparent ease. Part 6, Fate Will Do As It Must, for me falls into the leave them wanting more category, it is a really great section that could have been twice as long, but alas the story must continue and we are now over halfway. Today It Ends has more of a Pink Floyd feel, and we are still firmly in classic prog territory. Vocals are delivered dreamingly over a much layered musical track (A must listen on headphones section), Not Enough and Behold The Childe finish our tale , again great acoustic guitars, another solid guitar solo and layers of synths give an epic finish. Nathan’s vocal delivery over this section is particularly good as he takes on the perspective of Childe who has done his best to save himself from death but ultimately fails. And we are finished track one! Worth the cost of the album alone, a fan of prog rock you would be hard pushed not to get a lot of enjoyment from this track. Mirabilis continues where track one left off in feel , a song about the alchemist Roger Bacon who tries to create artificial life and and wisdom believing that achieving this would connect home with the divine, he ultimately fails. Whilst the album is not a concept album, there is a running theme throughout of people trying to be more than they are, trying to leave a lasting legacy on history, in some ways they fail yet do leave their mark in history, just not the way they expected. Waters Dark draws its inspiration from a Yorkshire legend around wanting to turn back time, a beautiful plucked acoustic guitar leads the song surrounded by other haunting guitar with a more upbeat folky chorus. Free to Choose keeps us firmly in deep prog waters, starting almost like a Yes song both in feel and production. From Gordon’s notes the song is about bohemian painter Robert Lenkiewicz whilst rejected by the art establishment, he went on start his own colony of outsiders based in Plymouth and found a different way of showing of his art. All the songs on the album can be linked to legends and historical figures and, like Big Big Train or a good Dan Brown novel, the subject matter is well researched and explored. The Heights finishes off the album a song around missed opportunity and chances, bought on themselves by a life of daring and drugs , based around the sad life of Branwell Bronte. A quite catchy song, I found myself having the chorus going around my head for some days. The sound of the sea and a fading backwards guitar bring the album to a close.